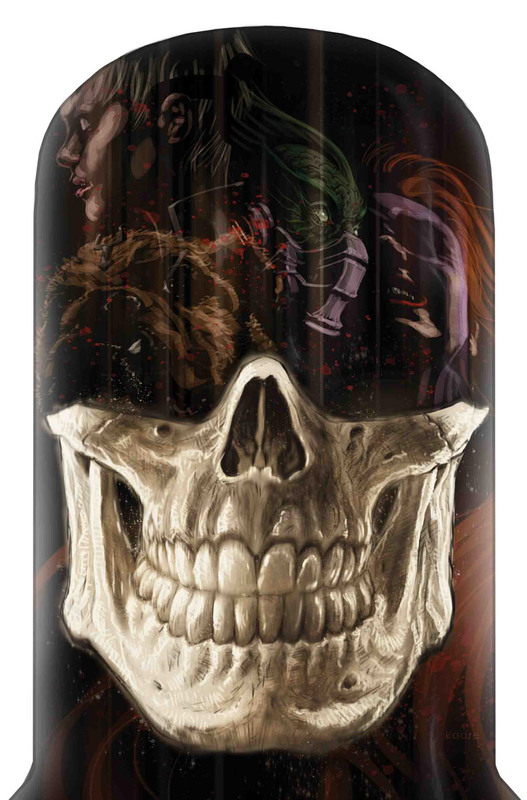 With the world of Inhumans collapses around them Medusa and Blackbolt meet to discuss whats left of their future and then face a crisis like no other. 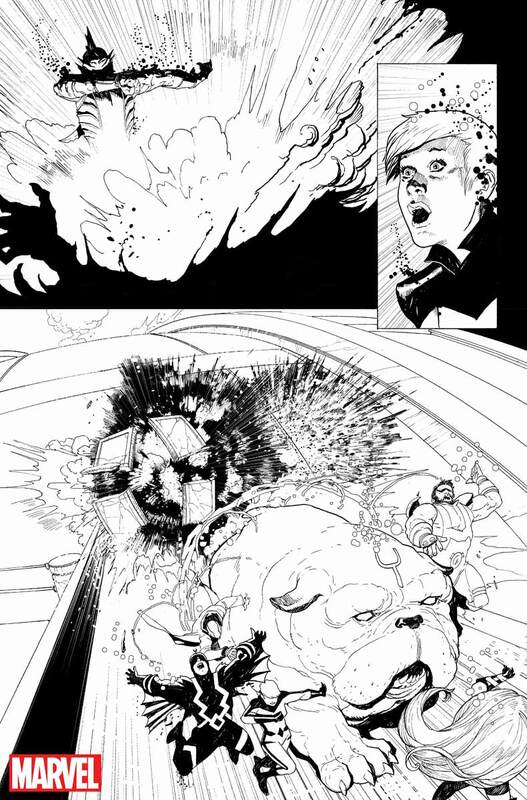 This July 4th is going to see some serious Inhuman's fireworks. They are going to be forced to battle for their freedom or face extinction. 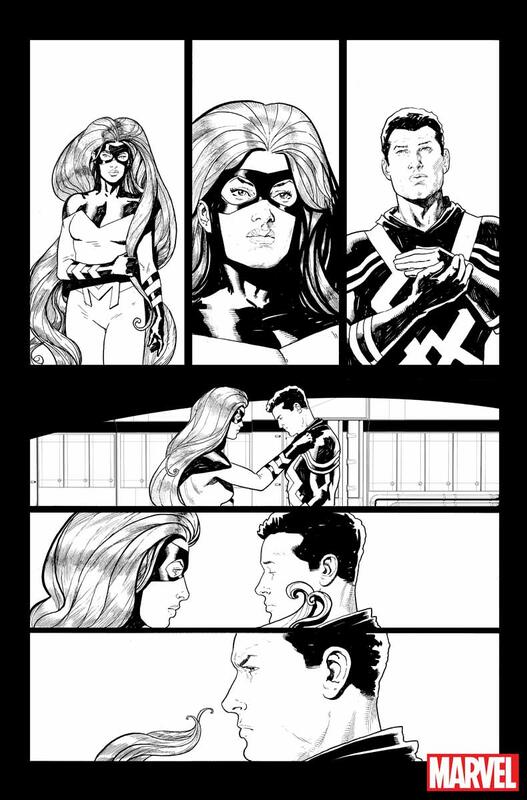 Some art has begun to be released for the Death of the Inhumans series some characters sketches as well as the signs of panels. I expect this event to set up the Inhumans with a new status quo that could exist for awhile. 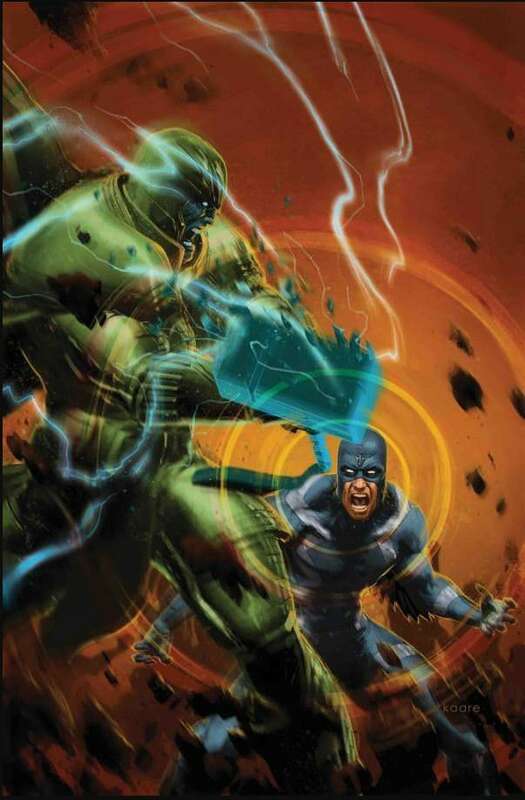 With the Inhumans show canceled and Disney acquiring the Marvel Fox licenses I tend to think the Inhumans will return to being characters in the fringe of Marvel stories only occasionally appearing during major events. While the title of event is certainly foreboding I tend to think that the ultimate result of title will have the Inhumans will return to space and leave Earth. However, I can not be sure, we will have to read the series to find out. 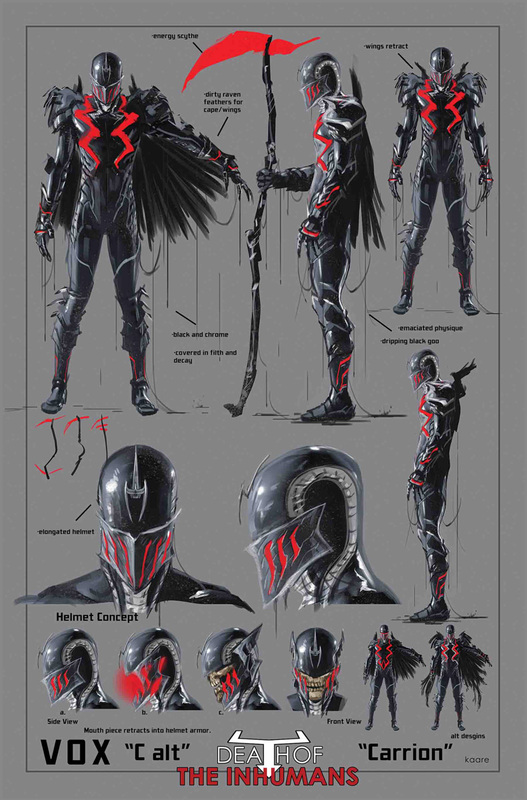 The villain in the series seem to be the Kree and Ronan who are seeking reinsert themselves as the masters of the Inhumans. While this has typically not gone well for the Kree this time they may have an Ace up their sleeve. 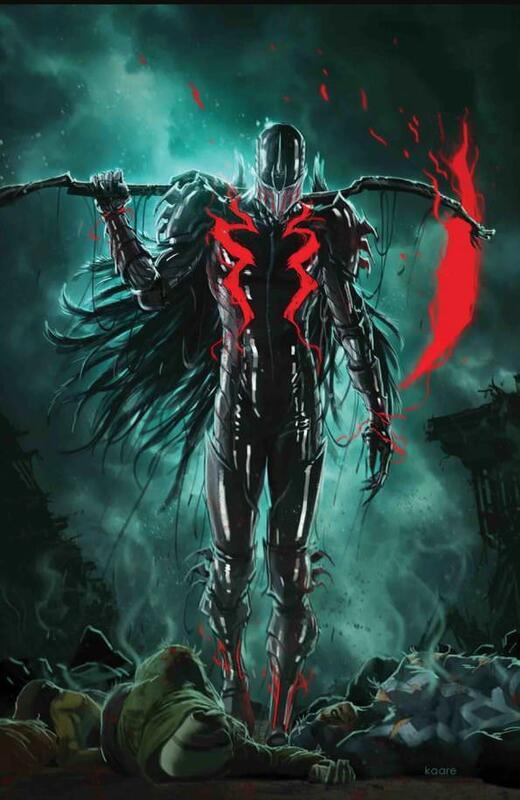 There is a villain that looks a bit like Death with a giant red sickle. This villain is called Carrion. Carrion has an energy scythe and raven wings. As he walks he drips black goo and his face when revealed is fully skeletal. Not much is known about him/her but he certainly designed to be the harbinger of the end. You can see more about his design and look below.